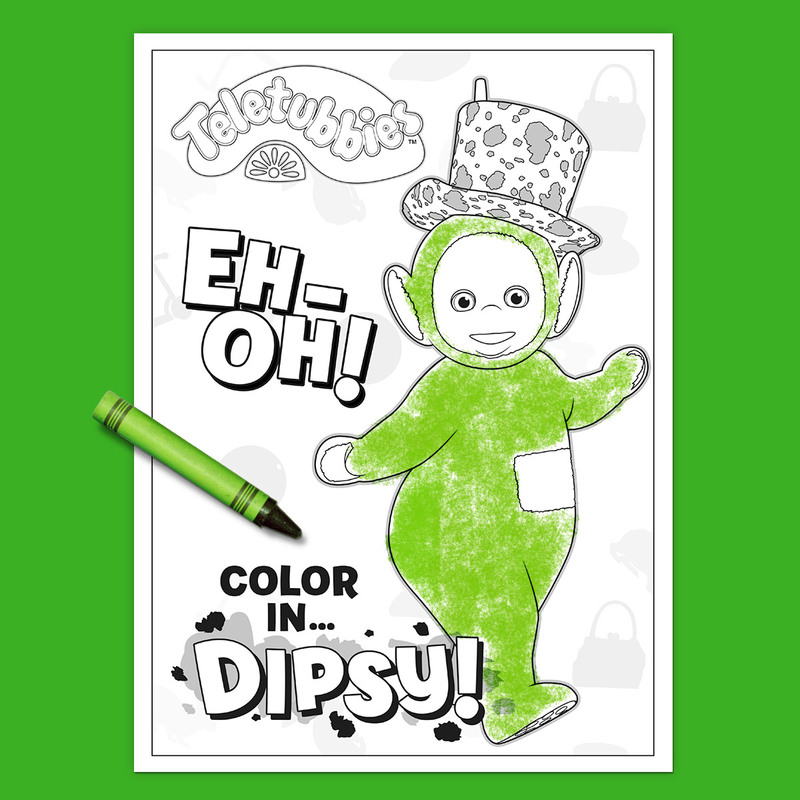 Your toddler will love coloring in this free Teletubbies printable featuring Dispy. Over the hills and far away, you’ll find Dipsy ready to play! Now your preschooler can color in this green Teletubby, hat and all—simply print this free coloring page!